Relitigating the Process is a new semi-regular column where If Not, Then Pick Will Convey as Two Second-Rounders writer Andrew Unterberger looks back at an important move from the Sixers' recent past, re-evaluating the original decision-making behind the deal, and gauging how it's all turned out since. First off: the epochal Jrue Holiday trade, turning five years old this month. And since no one knows more about litigation than The Official Law Firm of The Process, RTRS' very own Adam Kornblau will give his own take at column's end. It's tough to remember now, but there was a time when none of us really knew what Sam Hinkie was about. We knew he was a disciple of Rockets GM Daryl Morey, we knew that he had the endorsement of a lot of smart people around the league, and we knew that he talked a pretty good game when it came to patience and building and (eventually) contending for championships, but plenty of GMs promise change but end up feeding us more of the same, and "the same" was precisely what the Sixers had gotten through the previous decade of Billy King, Ed Stefanski, Rod Thorn, Tony DiLeo and Doug Collins. We didn't know -- couldn't know -- for sure how for real Hinkie was in wanting to deliver the Sixers to a new era. But on June 27, 2013, we found out. 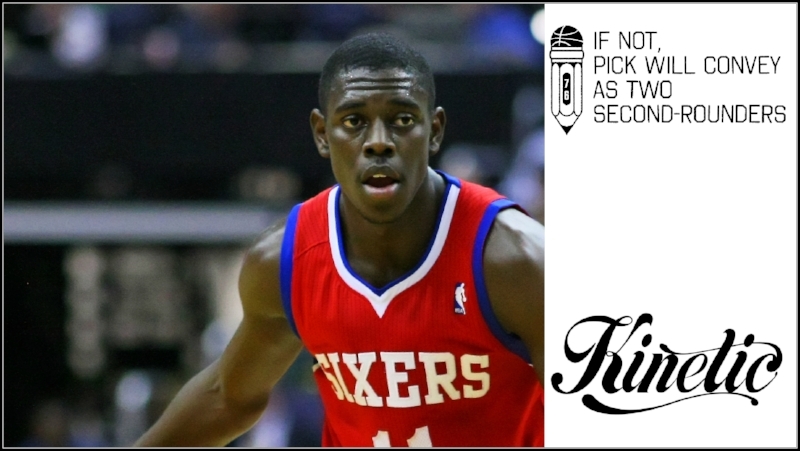 Most Process Trusters can remember it with the level of detail usually reserved for formative sexual experiences: How we first heard of the trade after the Pelicans' selection of Nerlens Noel with the sixth pick, how initially it was reported that the Sixers were sending Jrue Holiday -- Jrue Holiday!?!? -- along with a first-rounder to pick up Noel, the injured big man originally pegged at the best talent in the draft. As we tried to make our peace with that price tag, the reports shifted like a plot twist: The Sixers weren't giving up the first-rounder, they were getting one: A top-five-protected pick from the Pelicans, to be remitted the following season, when New Orleans was still likely to be fairly subpar. Meanwhile, we got to keep our own picks in 2013 and '14. We had basically just rebuilt the team in one trade. Sam Hinkie meant business, and he was as 4 REAL as a Manic Street Preacher. We would never question again. This was no small sacrifice we were making with the dealing of Jrue Holiday, however. Jrue had just finished the final year of his rookie contract and made the All-Star team for the first time as a 22-year-old. He averaged 18-4-8 with decent shooting and good defense, and led the team in minutes with his nearly 38 a game. The Sixers didn't really have a franchise player at the time -- unless you counted the decomposing corpse of Andrew Bynum on the bench -- but Jrue was the closest thing we had to one, and he was young, fairly cheap, and under contract for the next four years. It made sense for the Pelicans, who had just drafted a true franchise player in Anthony Davis, to give up a good amount to pry him from the Sixers. But it was indeed a good amount. Noel sat out his first season as he recovered from his college-torn ACL, then made first team All-Rookie the next year, quickly proving a versatile defensive terror, and improving as a scorer, rebounder and passer throughout the season. Meanwhile, the 2014 New Orleans pick landed at No. 10 -- which Hinkie used to draft Elfrid Payton, Louisiana Tech point guard apparently coveted by the Orlando Magic, who proceeded to give up 12th pick (and likely international stash) Dario Saric, as well as returning to the Sixers a first-rounder that they had previously owed the Magic, and a 2015 second-rounder. For a while, it looked like the Sixers had swindled the Pelicans in this one, as Noel looked beastly, Dario continued to amass hype overseas playing in the Euroleague, and Jrue seemingly couldn't stay on the court long enough to help the Pelicans reach a different level with Anthony Davis. But their lead shortened on the Pelicans as Noel, made redundant via the Sixers' big-man glut, stagnated over his next few years -- before ultimately being traded to Dallas for a relative pittance -- while Jrue recovered his health and his All-Star form with New Orleans this season, putting up career numbers across 81 games in the regular season, and even winning his first playoff series in the Big Easy. It'd be a lot easier to feel good about the Sixers' guard rotation right now if we had Jrue leading the way in the backcourt, certainly -- his playmaking, shooting, defense and ability to play on or off the ball (as he's done next to Rajon Rondo in NO) would be pretty damn helpful about now. Still, the trade netted them Dario, who despite still being something of a question mark defensively, has proven to be a game-changer on offense. Not only was he great as an NBA sophomore in the regular season, I think we've forgotten too quickly just how productive The Homie was in the playoffs this year: He averaged a 17-7-4 on 55% True Shooting, with an over 2:1 assist-turnover ratio, and an 18.6 PER -- all marks much higher than his regular season, one of just two Sixers (along with T.J. McConnell, natch) you could say that about. And don't forget about that future first-rounder, which (I believe) would've finally gone to Orlando this year, or that 2015 second-rounder, which we traded to the Knicks for future seconds in 2020 and 2021. And who knows? Maybe Justin Anderson, primary return in the Nerlens trade to Dallas, will still become a thing, and we have a second coming in 2020 from that deal too. The tentacles of this trade stretch deep. but not before a couple injury-lost seasons to start his career helped net us another couple top-tier picks. The Process was officially underway. Ultimately, from a purely on-court perspective, the Sixers would probably be better off going into next season with Jrue than any of the many players and still-to-come picks we ultimately received as a result of trading him. But he'd cost a whole lot at this point -- New Orleans is paying him over $100 million over the next four seasons -- and he'd be another perpetual injury risk on a team that certainly doesn't need to do any more worrying there. And most importantly, his presence on the team the last half-decade probably would've prevented us from resetting the way we have, and putting us in the position we're currently in. Trading the Damaja was still probably the boldest move Sam Hinkie made during his time here, and it was his first move. We can only hope the guy who ultimately comes in to shepherd this team through what comes next is similarly capable of instantly having the longest view in the room. I have been a lifelong Sixers fan. I remember watching either in person or on TV almost every game Allen Iverson ever played. 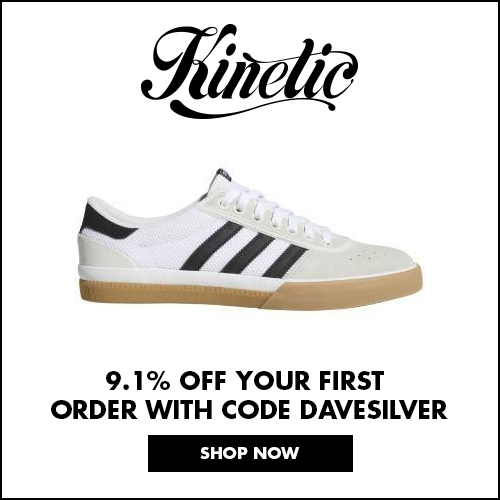 Like many of you, I had lost interest during the post-Iverson years following a team aimlessly wondering in the depths of basketball purgatory (cough, cough,mediocrity). Full disclosure, I was living outside the Philadelphia-area for much of that time, which did not help my Sixers-fandom cause. And then that fateful draft night occurred. Coincidentally, I was in the middle of a rec league basketball game during the draft. Looking back now, and seeing how basketball-centric my non-work interests have become, it amazes me to think I had drifted so far from my original Sixers fandom that I would even consider missing the NBA draft (which I am assuming for most reading this, is one of your top five most anticipated days of the year). But times were different. We were different. I didn't even know about the Rights To Ricky Sanchez (Spike and Mike's then unnamed) pod yet. 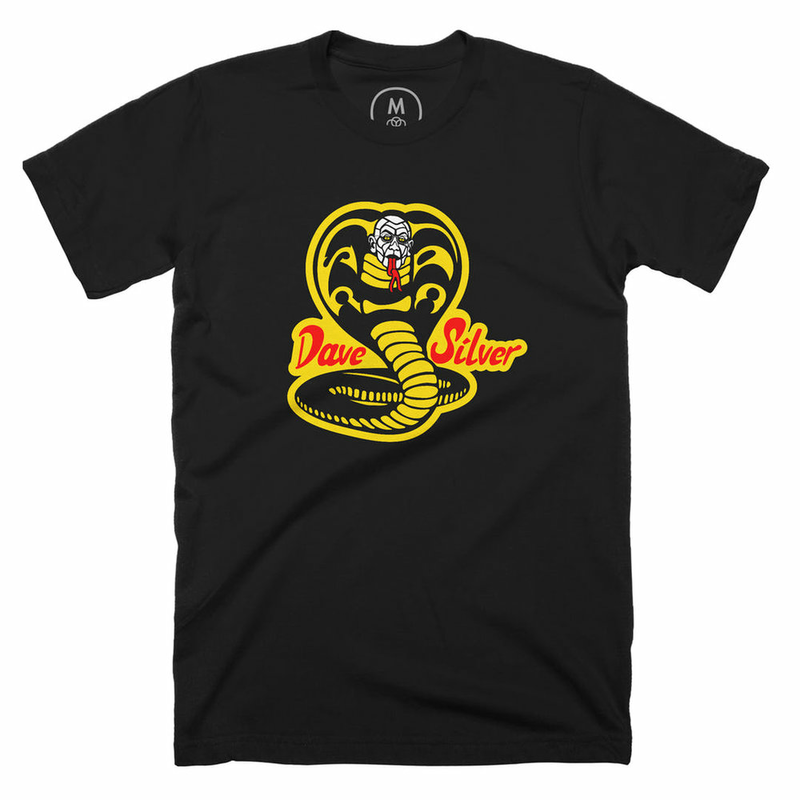 Get 10% off the Dave Silver shirt with promo code GPDY3ZXYZQ at checkout! At halftime during my game, I overheard echoes in the audience talking about how the Sixers had traded Jrue Holiday for the sixth pick in the draft. Then, confusion, as there was talk of a first-round pick being involved. If I recall, some original reports had the Sixers trading a future first, which would have been a very Sixers thing under prior regimes. Little did I know that we would be the ones to acquire the future pick. And, at that moment, the man, the myth, the legend, Sam Hinkie, was born. Irrespective of the fact that Jrue has grown into a borderline All-Star and Nerlens is no longer on the team, the trade remains a resounding success five years later. Aside from the players involved, the transaction planted the seeds of the Process, which grew into Joel Embiid, Ben Simmons and Dario Saric. The fans that will never come back, are back. We were, and continue to be, right. Res Ipsa loquitur. The trade that speaks for itself. A few months later, a friend of mine told me about the Rights To Ricky Sanchez Podcast. One of the first things I did was relisten to the post-draft Jrue-trade pod. I felt a sense of pride and comfort finding others who shared similar views about the Sixers/world. To this day, that is one of my favorite Ricky pods.